At Bowler Hill we make every effort to find a perfect match between horse and rider. If we don't have the perfect horse for you at our farm we will make every effort to find the ideal match through our network of sales facilities in the area and overseas. Cluney- 17.1 hh Canadian bred (Irish Draft type) 8 y.o. Very well broke on flat and stadium, to boot. Has been evented. 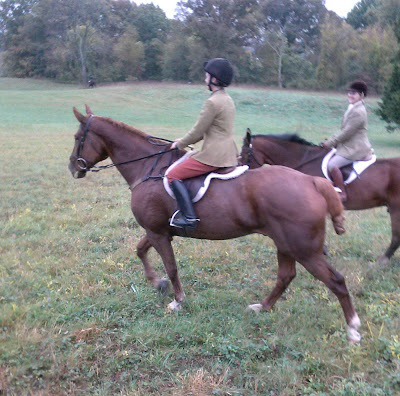 Hunted upon his arrival to Virginia with Piedmont Foxhounds and Orange County. A first flight horse for a game fox hunting person. Could do big country such as Cheshire as well. No vices, very sound,ties, loads and stands easily for shoer. He was sent here to be sold! $20K Neg. 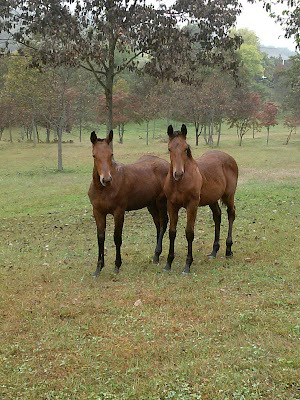 Open Water & Final Edition- Open Water and Final Edition have been weaned and are offered for sale. These fine weanlings are well built, very nice movers and have wonderful temperaments. They have been well handled and have older siblings who have, and are, proving themselves in the hunt field as well as the show ring. They are the last get of our deceased stallion Penrhyn Bayswater. Open Water aka "Puddles" is out of a Thoroughbred mare named Witchwayisopen (deceased) and Final Edition aka "Big Ed" is out of our now retired C'est si Bonne. These youngsters could be your next "once in a lifetime" horse! 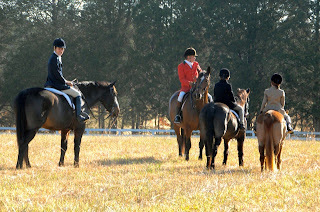 Hunt, drive, show, event, trail ride, they are bred to do it all...with style and grace. Affordable at this time for $6000.00 each. 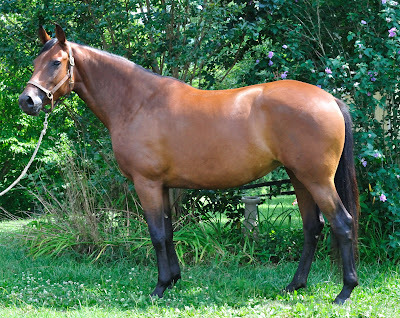 Carters Run- 3 yo Gelding, full brother to Love Chile' . 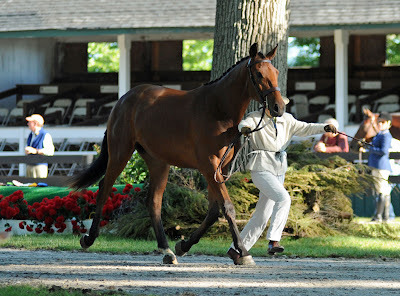 Showed for the first time at Upperville this year, placing second in the partbred class and first in the Get of Sire. This wonderful young horse has a very bright future ahead, in both the hunt field and show ring. Currently offered for sale at $25,000 . Congratulations to Ms Steffany Bergevan on her purchase of rising star, Love Chile'! Wishing you endless days of enjoyment with this lovely mare. Congratulations to Meridith Jones on her purchase of Bridgewater! 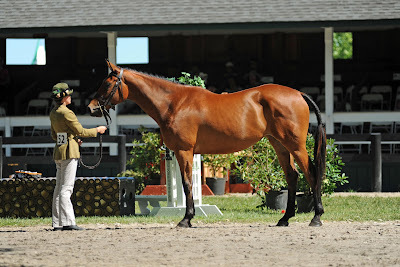 She is pictured above aboard this stunning Cleveland Bay half-bred at the 2013 Warrenton Horse Show. Congratulations to Kathleen Malone on her purchase of Joan Of Arc ! Joan placed 4th in the 2013 Cleveland Bay In Hand class, and won the Get of Sire class with her sister Love Chile'. We wish you all the best whereever you two go,whether its the show ring, hunt field, or just hacking out on a nice day! 2014 UPDATE: Love Chile is now heading the second field of OCH! Congratulations to Mary Looney on her purchase of Sparkler! 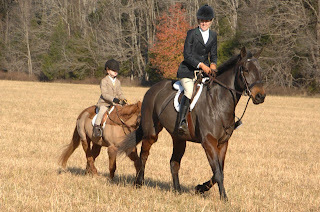 With the help of Karen Nutt, Ms. Looney and her son Andrew will be sharing this lovely mare in the Middleburg Hunt field. Congratulations to Mrs. Sandra Forbush and her daughter Nancy Wiley on their purchase of Holywater! 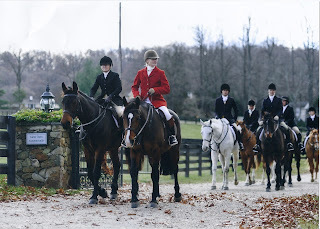 Holywater hunted consistently with the Keswick Hunt in Charlottesville, VA for 2012 season, bravely leading their child charges on their ponies. Congratulations to Ms. Erica Wiley on her purcahse of St. Patricia a Cleveland Bay Cross. 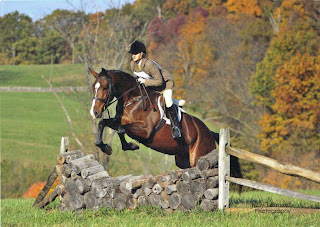 St. Patricia is pictured here at the 2011 OCH opening meet with Maryalice Larkin-Matheson.. UPDATE : St. Patricia was champion in the Cleveland Bay division at Upperville 2012! 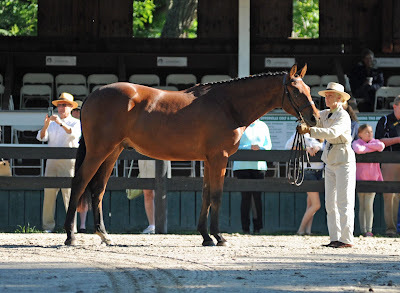 St. Patricia also won the 2012 Thomas Webster Memorial Trophy and the Mid-Atlantic Series Cleveland Bay Champion for outstanding performance of a part bred Cleveland Bay horse. Congratulations to Jeanne Asplund on her purchase of Tregoyd Promise! Congratulations to Roberta Marietta on her purchase of a new driving pony from Bowler Hill Farm! May you enjoy many picnic drives and competitions with new comfidence with this "steady eddie".